For any organization to grow, the core group of people who ensure that the upwards momentum is sustained throughout are the managers who plan and execute tasks within limited resources. A manager is not only a member of the task force, but an asset for an organization. They are valuable contributors; who have earned their position and respect through hard work. Our company, Alliance Recruitment Agency is one of the premier executive management recruiters; providing organizations across the globe with key executive search manager facilities, all the way from low-tier managerial positions to the highest echelons of corporate hierarchy. At Alliance, the task of finding the right person for the right job is undertaken through a precise and structured search pattern manned by specialized recruiters who possess working experience and corporate functioning styles for various types of organizations: from start-ups to Fortune 500 companies. The company has garnered a reputation around the world for being executive management headhunters; providing its services to various industries ranging from oil and gas, steel, manufacturing, retail, IT and mass media. 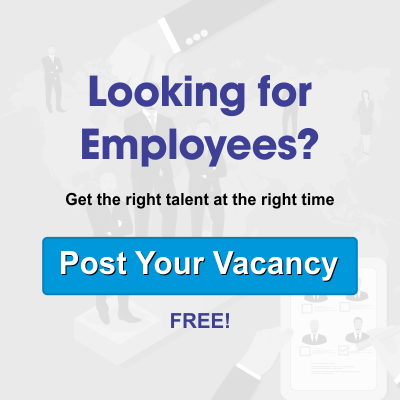 Our company is one of the pioneering executive management recruitment agencies, the company uses customized searching parameters to ensure that its clients receive the best in managerial talent. From hundreds and thousands of individuals, the company analyses key aspects of the client’s requirement and matches them to produce a handful of selections; those that best fit the organizational requirements. In addition, we also provide assistance throughout the on-boarding process: from the initiation of the interview process to the final documentation handouts. 1. C-Level Executives: The C-Level executives are considered to be the pinnacle of managerial positions, comprising of positions such as CFO, COO, CTO, and CMO. They are the best and the brightest in their respective fields and possess vast corporate experience and knowledge, often in terms of decades. A C-Level executive is usually the person in charge; with the entire functioning of his domain resting on his shoulders. Alliance Recruitment Agency maintains key relations with top industry leaders to provide organizations with the very best talent across the world. 2. Accounting Managers: The Accounting Manager is the person responsible for the maintenance of the books of accounts for an organization. The individual handles all the necessary responsibilities of maintaining and safekeeping the books of accounts, and delegates the tasks to accountants. Alliance Recruitment Agency provides organizations with superior executive management search facilities for all levels of accounting managers in various regions. 3. IT Managers: For any organization in the 21st century; the handling and management of Information Technology resources is critical for proper functioning of the organization. An organization usually has multiple IT assets including computers, network infrastructure, mainframe infrastructure and internet infrastructure such as websites. Alliance Recruitment Agency is one of the leading executive management recruiters for budding and experienced IT managers alike. 4. Credit Managers: Credit is an important part of business, and almost all organizations across the world conduct business on the basis of credit. Credit managers are tasked with the management of credit outside the company; both as cash credit taken against fixed asset collateral as well as goods and service credit provided to other organizations while conducting business. The credit manager ensures the credit-worthiness of other business as well as assessing the need to liquidate or loan company assets for additional investment. Alliance Recruitment Agency has links to some of the best credit managers across the world in a diverse range of industries; linking organizations with the best and the brightest in the field. The demand of top-notch managers have been growing since the past decade. With the global economy in a state of flux due to technological advances; organizations require the best talent who can lead the way towards greater profitability. The executive search managers of our company, builds on that premise to provide organizations with the opportunity to create the dream team tailored to their exacting needs. Let us build your management team today!